Resolving legal issues or finding answers to legal questions can be difficult. At times the process can be confusing or intimidating, and that is where we can help. Our law firm will handle your case professionally and efficiently. Achieving the goals of our clients is our top priority, and you can count on our extensive experience and expertise to guide you through the process to a successful outcome. We analyze the various aspects of your particular situation, provide the advice you need to make sound decisions throughout the process, and work vigorously to resolve your legal issues. 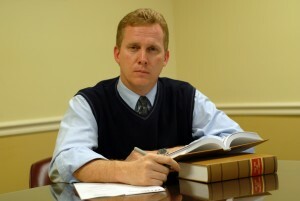 There are many law firms that will offer to handle your Traffic, DUI, Juvenile, or Family Law matter. However, there are very few Georgia law firms that offer the rare combination of experience, commitment and service found at the offices of James T. Johnson, Attorney at Law. James T. Johnson, Attorney at Law, began his legal career as a Law Clerk to a trial court Judge, earned a Doctorate of Law degree, and now has over 15 years’ experience as a private defense attorney, with additional experience as a former Municipal Court Prosecutor, Contract Defense Attorney for the county, former Public Defender for the county, former Special Assistant Attorney General for the State, and City Attorney for two different municipalities. James T. Johnson, Attorney at Law, is also a member of the Georgia Association of Criminal Defense Lawyers, the National Association of Counsel for Children, a founding Director of the Appalachian Children’s Center, member in good standing of the Appalachian Bar Association, and the Georgia State Bar Association. In short, James knows the law and process inside and out, and from every possible angle. When you have legal charges pending against you, or some other legal issue hanging over you, we understand that we can make the process better for you and your family if we treat you well. We are completely committed to that goal. Whatever it takes, when it comes to obtaining the best outcome for your particular problem for you, trust that our firm is completely committed to getting you the best possible results. Communication is key, and we work hard to eliminate your frustration by providing the explanations you need in a timely manner. We appreciate each of our clients, and we respect the fact that your time is as valuable as ours. The great majority of our clients’ cases move through the process without a hitch. Sometimes, we’ll run into a difficult Prosecutor or Judge, or a more complex legal issue that requires a hearing or trial. In those situations, it’s absolutely critical for a client to have a lawyer who is skilled and experienced in trial work and never give up attitude. At James T. Johnson, Attorney at Law we have a reputation for being staunch advocates for our clients. That’s what our clients hire us to do, and that is our commitment to them. We are proud of our reputation for quality service, and appreciate all our clients who have taken the time to send positive feedback to us after a successful resolution of their case. Please CLICK HERE to review some of these comments. Call, or e-mail us to set up an appointment for a FREE consultation and case review today.